Ever notice there’s a lot more to creating success in MLM than what you were told in the beginning? 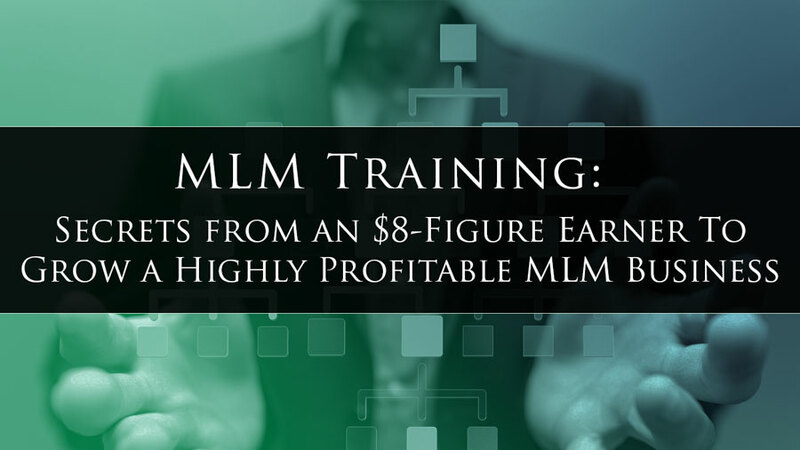 Why were you not given more MLM training so that you could be prepared for it all? I think you'll agree with us when we say you get thrown plenty of curve balls, and run into obstacles. To become successful, you must learn new skills, face some fears, and have a vision bigger than the one you have for yourself now. Of course the best thing to do in a situation like that, is to emulate someone who’s already having success in what YOU are trying to achieve. This blog post will allow you to do exactly that! $8-Figure earner Ray Higdon is a living legend in the network marketing profession. He’s built a global business. And to do that, you’ve got to be a great coach and trainer. By the time you’re done with this post, you’ll know more about what it really takes to reach MLM success than 99% of the world. 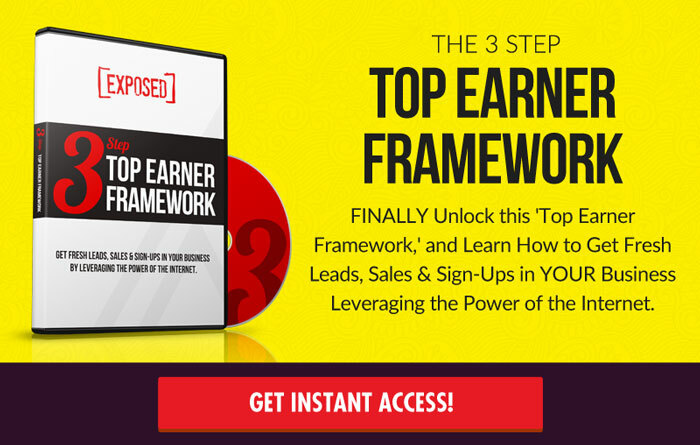 FREE TRAINING: FINALLY Unlock the 3-Step 'Top Earner Framework,' and Learn How to Get Fresh Leads, Sales & Sign-Ups in YOUR Business (in the next 24 hours) Leveraging the Power of the Internet.. If you’ve been in this business for a while (or even if you’re fairly new) you might be stuck in a bit of a funk. But what is a funk really? Instead of making it more than it is, let’s just say it’s simply a period of non-performance. Right now you may be questioning why the heck you're even doing this in the first place. The reason for your funk might be that you’ve retreated back to living in your head, living in doubt, even after attending trainings and events that have inspired and motivated you. You may be having thoughts like: "That won't work for me" or "Easy for him to say" or "I COULD do that, only if I believed in myself!" You’re certainly not alone. Now is the time to clear it all away and start moving forward again. When you start having those feelings of doubt and overwhelm, do something "shocking" to bring you out of it fast. Splash cold water on your face? Punch yourself in the face? Have your partner or spouse punch you in the stomach? Ok, it doesn't have to be that drastic, but you get the drift. Something to shock you out of your negative thought pattern. Also it’s time to stop telling yourself (and everyone else) your story about how bad things are. That’s “fake news!” It’s a story that needs to change, that you can change, and it needs to change now! Are you on the court or are you in the stands? It’s time to stop being a spectator and become a player! The players on the court are in action. They don't get time to think about their self-doubt. They don't get time to be in their heads. Once you start taking action, and get in the game, you’ll start getting results (good or bad)... and you’ll be able to increase your belief! #3: What Is Your WHY and Your Vision? You’ve probably heard the “Find your why” thing so many times that it feels like a cliche! But it’s a vital thing to know! Why are you doing this? What is your vision? Is it big enough? Do you believe in it? You’ve got to not just see it, but you’ve got to feel it down to your core! Make it so real that you know it’s just a matter of stepping into the vision. It’s taken right from Tony Robbins’ playbook, because it works. You must change your state to get your mind into the zone...ready to achieve the results that you’re after. Often that means changing your physique! Pull your shoulders back and stand up straight. Make eye contact with those that you interact with. Have a firm handshake so people know you’re serious. Use your voice. Speak up. Be heard... and with purpose! Change those things and your mind and belief will begin to grow into the state that says you’re ready for MLM success! You'll be amazed by how much better you feel. COMPANION VIDEOWatch the Video Below Where Ray Higdon Explains How to Get Out of Your MLM Funk TODAY! One of the reasons that people fail in MLM is that they don’t know how to connect with prospects. Of course one of the best ways to communicate with your prospects (especially if you’re using attraction marketing to get leads online) is with the phone. If you’re avoiding the phone, you’re leaving tons of money (and new reps) on the table. Period! Afraid of the Phone? Let’s Eliminate That Fear Now! The #1 reason most people are afraid of the phone is simply ego. You’re more worried about your self image (what people will think of you), than you are of the impact that you could make in the world. In people’s tons of lives! The fastest way to get over this TODAY, is to simply stop trying to close everyone you talk to. Stop putting so much stock on whether they join or not. Instead make your mission to discover who’s open! Simply see if they are open vs. try to force them into your deal like most people will do. This is also the fastest way to diminish or even eliminate rejection. A great example of this is your waiter or waitress at any restaurant. If they ask you if you want cherry pie, and you say no, are they going to think it’s the end of the world? Are you going to be upset or insulted that they asked you? Nope. You’re either open to cherry pie or you’re not. That’s what the phone should be like. Just CONNECT and see who’s open. Make it fun and enjoyable. COMPANION VIDEO$8-Figure Earner Ray Higdon Shows You How to Get Over the Fear of the Phone! Watch the Video Below! Once you’ve gotten out of your funk, and started using the phone as a fun and effective business building tool, you’ll likely start recruiting more reps! Of course you want these reps to produce, and become successful. The way to do that is to become a better coach! This a key element to experiencing success with your business! Lets get in to the 7 ways to be a better MLM coach for YOUR team! #1: Understand that Not Everyone Will Actually Put in the Work. In fact most people will join, and then do nothing. It’s unfortunate for not just YOU... but them as well. Yet it’s reality. Don’t focus on that. Just keep recruiting and focusing on those that DO put in the work! Some people decide to go into management mode once they sign up a few people in their business. But that’s not the way you grow a solid organization fast. Hit the next rank to MOTIVATE your people to do the same. Don't divide your time equally among your team. Doing so will waste what could be productive time with people who are hungry. That doesn’t mean you ignore people who need help. It simply means you spend MORE time with go-getters. The people who prove that they’re trying, and that they are hungry to succeed! #4 Get Them to Turn a Profit By Focusing on PROFIT PRODUCING ACTIONS! The faster someone gets into profit, the more motivated they’ll become, and the harder they'll work! The profit producing actions are what will make that happen. Show them the most profitable things they can do, and have them focus on that. They’ll get into profit faster than they even thought they could. #5 Where Is Their Biggest Hangup? Each person you bring in will have their big hangups where they're having problems! These are weaknesses that if improved upon, could quickly boost their profits. There are essentially 3 major areas that are most important for profits for MLM success. Those are the three main areas that if improved, will give them (and you) an immediate profit boost. Honesty and openness between you and your team is vital. Along with honesty comes effective coaching. For instance if someone comes into your team, they may not start doing anything until a year later. That’s a part of the game. However, don’t chastise them for the year they didn’t work. Instead celebrate with them for stepping up now! As a coach, you want to make sure that your reps are doing the right things. One way is to get them to record the conversations they’re having. If this is on the phone, listen to these recordings along with them, and give them pointers to improve! This feedback will be invaluable to them. Perhaps your reps are prospecting on Facebook. What are they saying, and how are they responding? Have them screenshot their interactions with free tools like Jing, read them over, and provide them with tips on how they could improve the next one. Maybe sit in while they have their conversations, watching over their shoulder. Doing the above more often will have your team exploding below you! COMPANION VIDEORay Higdon Goes Over All These Point In the Quick MLM Training Video Below! 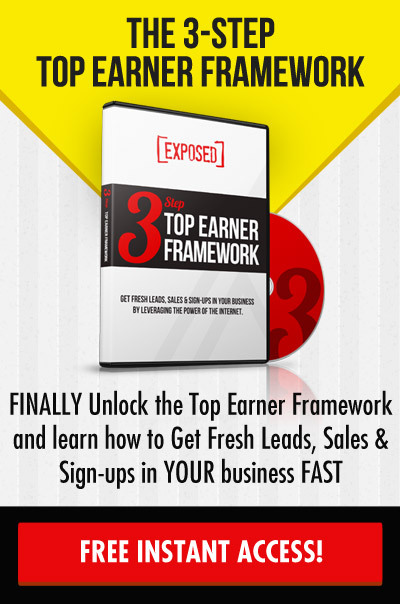 Is it possible to become a top earner in your primary, without becoming a top recruiter? Absolutely! The secret is to realize that it’s not how many people you sign-up, but how many people you keep. This is where most MLM businesses die. But don’t worry, we’ve got top earner Ray Higdon with an MLM training to show you how to not just keep more reps, but to get them producing even more!! Most people are looking for the lottery tickets (rock stars) that will make them rich in their network marketing business. But it’s important to face the fact that a lot of people won't stick around. Opportunity jumping is certainly prevalent. As long as you know it up front, you can hedge against it and develop leaders deep within your organization. This way when the jumpers jump...you steal their talent that stay with YOU! Be the rock on your team and in your industry. Don't jump ship and abandoned positions. In other words, don’t be a jumper. Be the person that people can count on ALWAYS being there, like a boulder. You’re there, and you’re working, and leading. When people know that YOU are committed they’ll commit too! Create (or borrow) a Fast Start training that acts as a checklist that people can follow step-by-step and experience fast results in their business. Most people sign up a rep, and then send them straight over to the company page, so they can learn all about the products and opportunity. Instead, get them started taking action right away. Build an action oriented team vs. knowledge oriented... and you’ll quickly develop a team that others envy. Do you want to eventually grow a global team? Of course you do. You should be training your team weekly. The great thing is that you can do that right from home with Webinars. If you start using webinars to train your team early, you’ll be ready when your team grows globally! MLM training is what they need, and if you’re the one to provide it effectively, they will most certainly stick with YOU as long as they can! The best way to show your leaders that you’re serious about their success, is to travel to them. Let them know that you’re there for them and you believe in them enough that you’re willing to travel. You may not see an immediate return on this, but you will, so it's still well worth it. The morale boost is hugely effective. The key is to simply only go to the leaders that have earned it. (Create a minimum autoship mark in their area) so that they can bring a group to YOU. This is also how you continue point #1 above and dig deep into your team! We talked about this in the coaching section. It’s important to repeat that managers don’t grow productive teams that last. LEADERS DO! The producers will show themselves and stick around. What would you want out of an upline of YOUR dreams? You may not have that, but that doesn’t mean you can’t BE that for your team. Have integrity. Be committed and trustworthy. Be the dream upline you always wished you had! People will stick around with you when you do! COMPANION VIDEOWatch the MLM Training Video Below As Ray Higdon Goes Through These 7 Steps to Increase YOUR Retention! So now you know how to build an organization inside your primary that produces huge results, residual income, and a team that sticks with you. What about the majority of people who will tell you NO? The fact is that most people WILL say no to your opportunity. But what if you could STILL make money even when they do? When you’ve got a prospect who is already happy with their network marketing company, there’s a simple question that you can ask that can help you profit anyway! It’s a simple but profitable question! 90% of these prospects will reveal that they’d like (more like LOVE) to generate more leads for their business! Which means YOU can still help them, serve them, and get paid for it! This is exactly what MLSP was built around. If you’re an MLSP affiliate, you have a massive solution for these people. World class MLM training like Ray Higdon just provided above, PLUS top-tier tools that help them generate endless leads for their businesses, so they never run out of people to talk to. Who with an MLM business wouldn’t want that? In fact you can even offer them FREE TRAINING, and when they see the value and become a member, YOU get paid even though they never joined your primary opportunity. The key is to position this as education and not an opportunity. Your prospects will resist education and training much less, open their minds, and see the value! COMPANION VIDEOThe Quick 3 Minute Video Below from Top Earner Ray Higdon Will Show You Exactly What This Looks Like in Action! Don’t You Wish You Received MLM Training Like Ray Higdon Just Provided Above When You First Got Started? The reason you didn’t is because most sponsors simply don’t know what you just learned. YOU now probably know more than 99% of your upline about how to build a successful MLM business. 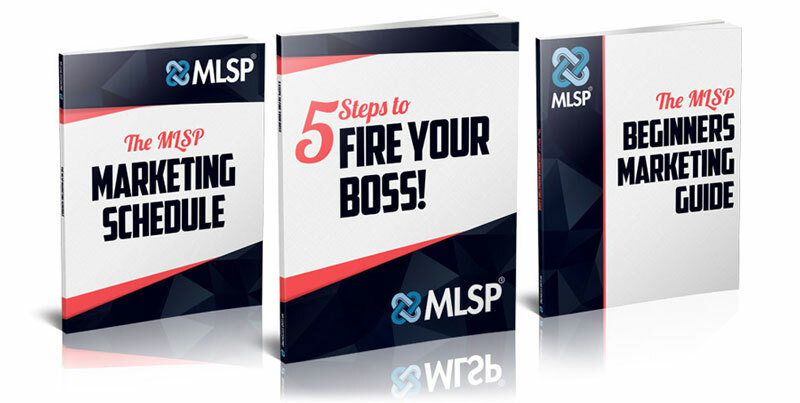 Leaders like Ray Higdon, Diane Hochman, Mark Harbert and MANY others who call MLSP their home...provide tons of training just like this that you need every single week!. With strategy training, mindset training, and even training on how to use the tools that can keep leads, sales, and sign-ups flowing into your business daily...your success rate can skyrocket! P.S. - If you want to be able to ask entrepreneurs the same question that will allow you to make money from the 90% who say NO to your business, ("How are you doing with generating leads for your business? "), and you are interested in implementing MLSP's '7-Step Attraction Marketing Method' into your business to attract prospects to YOU who are already interested in what you have to offer, click here to unlock a system that has performed miracles. ACKNOWLEDGEMENT: We want to acknowledge and honor our dear friend Ray Higdon for providing the video trainings above so that we could serve YOU, our beloved audience. Higdon is one of the sharpest marketing minds in the business, and is a true business & marketing genius. And let us know what ACTION steps you’re going to take today with what you learned from this post! From the bottom of my heart I want to thank you and the whole MLSP team for all the awesome trainings; I’ve recently discovered your podcasts as well and am finding the information you share is just as awesome as these posts! I’ve been in a funk with my direct sales business lately and frustrated with myself but when I listen or take the time to read these posts, I begin to feel more hopeful and more positive! I have to quit wanting to ‘know it all’( about our products,etc) and just start taking more action!!! Thank you!